When you have a poor indoor air quality, your health becomes affected. Your indoor levels of air pollutants can be two to five times higher than outdoor levels, according to the EPA. If you start coughing, wheezing, or sneezing, the quality of air in your home is worse than outdoors. The term refers to the quality of air in and around your home or commercial building. 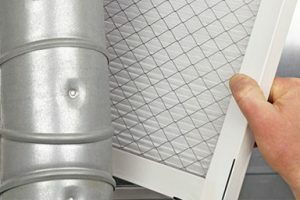 Using ventilation and filtration will greatly improve the quality of your indoor air, and our technicians at Chud Air Conditioning, Heating & Plumbing specialize in proper filtration. The quality diminishes with the presence of mold, gases, bacteria, and other allergens. Your furniture, floor, wall coverings, and paint attract the presence of volatile organic compounds in the home, affecting your health. At Chud Air Conditioning, Heating & Plumbing, we make it a priority to ensure your home in the Northeast Philadelphia, Montgomery County, and Bucks County, PA area maintains its IAQ throughout the year. We are focused on the impact the air quality has on your home. In the winter, when you see static shocks with your electricity, or condensation forming in the summer, it’s time to address the quality of your air. Are some rooms too warm or too cold? Is the air not flowing evenly throughout the house? Let our technicians address your concerns, providing a free estimate and assessment of your indoor environment. We are trained and experienced in the installation of the most energy efficient HVAC systems. With air cleaners installed, we will effectively help filter the air you breathe, leaving you healthier and more comfortable. The equipment helps reduce the pollutants that enter your home, delivering proper humidification levels for both hot and cold conditions. Our air cleaners, dehumidifiers, and UV treatment systems are available for residents of Bucks County, Montgomery County, and Northeast Philadelphia area. The cleaners require minimal maintenance, and will need replacement every few months. They are a cost-effective option that leads to healthier living while delivering proper humidification levels. We work on cleaning the air ducts and installing a highly efficient system that allows you to control humidity levels. We provide annual maintenance and upgrades to your HVAC system, helping your home environment remain healthy year after year. Once you notice the signs of a poor indoor air quality, get in touch with Chud Air Conditioning, Heating & Plumbing. We offer free estimates and provide the most affordable prices.